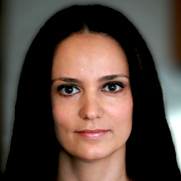 Professor Konstantia Koutouki teaches graduate-level courses in common law, as well as advanced international law. Her research looks at the links between international business, intellectual property and protecting the environment. She has extensive expertise in international law as it relates to sustainable development, more specifically, the social, economic and cultural development of local and aboriginal communities, as well as the preservation of natural spaces and ancient knowledge, in particular, as it concerns traditional medicine and agriculture. As an invited professor and researcher, Konstantia Koutouki has visited local and aboriginal communities around the world. She is also the main resource for natural resources at the McGill University Centre for International Sustainable Development Law (CISDL).